AVP has two new team members! Tommi Byman is a returning AVP champion. He might be a familiar face for some from a few years ago when he worked as the event and then as the marketing coordinator of AVP. Now Tommi is stepping into a brand new role as he will help in communicating AVP’s integration efforts of entrepreneurship education across the country. Tommi has gained a lot of experience in e.g. crafting communications strategies and creating content as he spent a year at Ellun Kanat as a communications trainee. He has graduated from Aalto University School of Science with media as his major. During his studies, he also spent a lot of time volunteering for different clubs, boards and committees in AYY and he is currently producing Teekkarispeksi in order to keep in touch with student life. Outside working hours Tommi likes to spend his time climbing, dancing and training for upcoming obstacle course races. Elettra Virtanen is AVP’s new marketing wizard in charge of planning and creating content for our social media channels, updating AVP’s blog and looking after event, course and study trip marketing. She is a new to AVP but is really looking forward to getting to know the AVP team and the entrepreneurship ecosystem at Aalto. Elettra has previously gained experience in marketing at the Executive Board of KY, where she was in charge of e.g. planning various marketing campaigns, creating content for social media channels and brand management. Elettra has also learned a lot about marketing and event management from volunteering at Slush and several student associations within AYY. In addition to an active student life, her freetime consists of photographing and other art projects. Welcome to the team Tommi and Elettra! We are excited to have you! 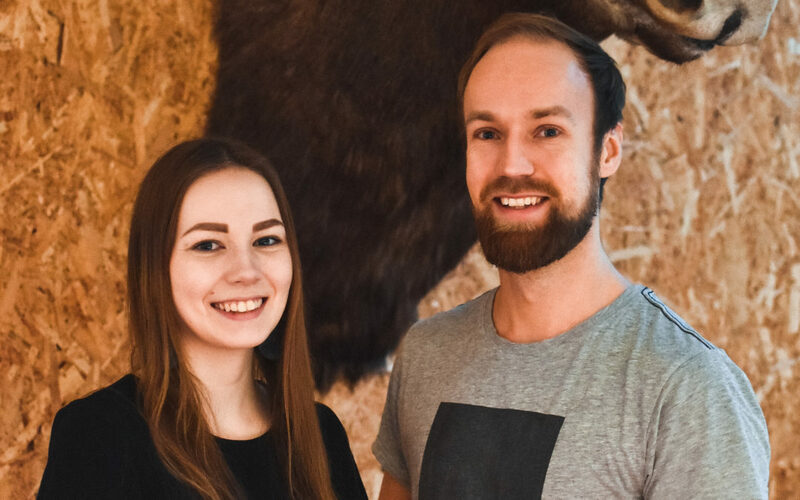 For more information about them, check out Tommi’s and Elettra’s LinkedIn profiles. Do not hesitate to contact them or visit us all at AVP Space.